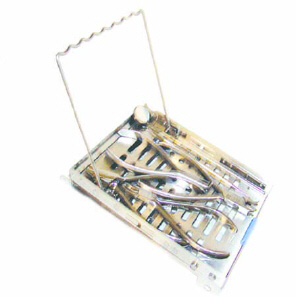 A very adaptable cassette to be used in a COX, autoclave or dry heat sterilizer. Ideal for limited exams and consultations. Holds hand instruments and 2 pliers. Simple and efficient! Features an open compartment, dual locking latched and double hinge fold under lid. Instruments and always laid out and ready to go. 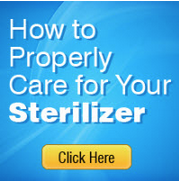 Sized just for the COX sterilizer! Everything you needs fits evenly in one simple COX cassette. Can also hold a combination of odd sized instruments and pliers. Includes an instruments compartment. 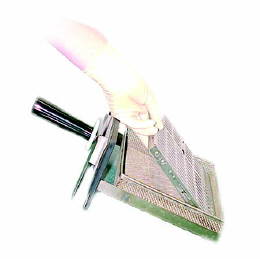 Perfect for new exams, equilibration and retainer checks. Single hinge snap fit lid. Run your specialty pliers and handpieces through the STATIM and get them right back to chairside. 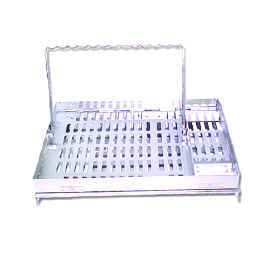 Open compartment STATIM cassette with plier rack, fold under lid and double locking latches. Ideal for moderately involved chairside procedures. 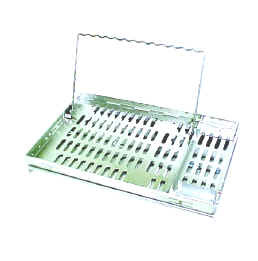 Ideal for your specialty and large procedures, featuring flip up plier rack, fold under lid, dual locking latched and instrument compartment. Goes from chairside to STATIM and back in a flash! For the doctor who wants it all! 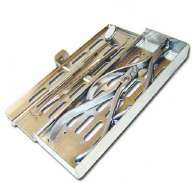 Our LARGE 3/4" cassette features a flip up plier rack, instrument compartment and double hinge, fold under lid. 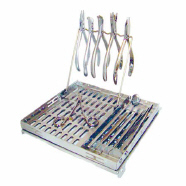 Sharp instruments are in their own compartments which greatly reduces the risk of being poked! Ideal cassette for maximum chairside instrumentation. Our LARGE 1" cassette will hold a combination of odd sized instruments and pliers. Perfect for your high volume patient appointments and set ups. Everything you need fits evenly in one cassette. NEW LARGE DENTAL LINE CASSETTE! 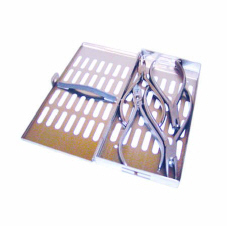 Double hinged, fold under lid. Stainless steel instrument rack, this cassette has been so highly requested that Steri-Source Inc. revealed it at the AAO this last May 2002!